Resolving who is at fault in a car accident is crucial for various reasons. When a car accident occurs, it is vital for each party, and their insurance, to understand who is at fault because of possible liabilities. Determining who is at fault will makes resolving issues after the accident much easier. 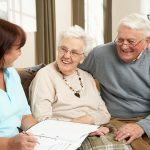 Depending on the severity of the accident, there will often be a sizable sum of repair costs that the party at fault must pay. The payment is made by whoever is at fault. Leaving an unclear resolution as to who is at fault in a car accident will only make room for confusion or legal dispute. It is beneficial to determine who is at fault immediately following the accident. The best time to decide who is at fault is at the scene of the accident. At the scene, there will be witnesses surrounding that can assist in concluding in who was at fault. 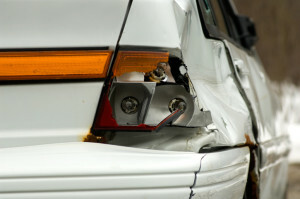 The following article from AllAboutCarAccidents.com explains how to determine who is at fault in a car accident. Sometimes, the most important aspect in a lawsuit is who is at fault in a car accident. In states which permit identifying one party as liable, this is often the most complicated and heated debate. Below is an explanation of how to identify who is at fault for an accident and how such determination can affect an award of damages. Fault in an auto accident matters because the person at fault is responsible for an injured party’s damages. Therefore, a party proving that he is not at fault means that he could escape all financial liability for the accident. 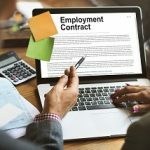 If multiple parties are accused of liability, determining who is at fault takes the form of identifying the levels of fault of each, independent party. This is because each party will only be responsible for the amount of damages attributable to his actions. Fault must be proven by evidence. This evidence can consist of photos of the accident, eyewitness testimony or police reports. Many times, fault does not need to be proven beyond any reasonable doubt, but rather must be shown through clear and convincing evidence. The standard of proof, therefore, is low, meaning that allegations of fault do not have to be indisputable. In most states, the party at the tail end of the car accident is considered responsible for the accident. Therefore, the majority of fault falls on the driver of the last car involved in the accident. If multiple cars are involved, each car that hit another car from behind may be found to have some fault responsibility for the accident. If the accident was not a rear-end accident, determining fault can be a little more difficult. In this situation, it may be necessary to look to the state’s driving laws and the location in which the accident occurred for guidance. If the accident occurred while one car was making a left turn, check to see whether the lights were in one driver’s favor. If so, the driver that did not take the signal into consideration may be at fault for the accident. Similarly, a driver that was speeding is more likely to be found at fault for an accident. If you have been involved in an auto accident and do not know how a determination of fault could affect your defense or possible recovery, seek legal advice. A lawyer will review the facts of your case and discuss with you what role a fault could play in your compensation award. If you are in an accident, there are various steps that you can take to alleviate confusion and determine who is at fault. The first thing to do when resolving who is at fault is to remain calm and respect the other party. Respecting the other party will help keep the situation under control and allow you to determine who is at fault more easily. The next steps to determining who is at fault are to gather evidence. If a camera is available, taking pictures of the accident can help determine damages and costs. Also, look for street signs or the layout of the roadways to help determine who violated the rules of the road. Taking pictures of the surrounding roadways is another way to assist in determining who is at fault. A police report, pictures, and witness testimonies will help make a fair judgement of who is at fault. Always remember to exchange information with the other party; get their name, phone number, and insurance information. Your insurance will go from there, handling who is at fault, evaluating damages, and holding who is at fault responsible for the damage costs. If you have any questions regarding who is at fault in a car accident, our agents at TJ Woods Insurance would be more than happy to help! Have you ever been in an accident where it was unclear who was at fault? We’d love to hear more about it in the comments section below.